Pick four from Thiago Silva, Marquinhos, David Luiz, Miranda and…Naldo? Yes, more than ten years after his last appearance for Brazil, Schalke's evergreen centre-back could find himself pulling on the iconic yellow shirt of his country once again. His displays for the Royal Blues have been majestic enough to turn the head of Brazil coach Tite, who — though yet to call up the Schalke favourite — has not ruled out drafting in the rangy former Bremen man for the Seleçao's FIFA World Cup squad in the summer. Should he join Neymar, Philippe Coutinho & Co. for their pre-tournament preparations, he could make his first appearance for his nation since winning the last of his four senior caps in August 2007 shortly after helping Brazil win the Copa America. Watch: We caught up with Naldo and the World Cup was a hot topic! "Naldo is one of those players we've got our eye on," Tite said earlier this year. "The centre-back positions aren't all taken. Everyone playing at a high level has a shot." It is the stuff of fairytales. Only in this case, the blushing princess is a strapping six-feet six-inch 35-year-old Brazilian whose Fairy Godmother has gifted him the ability to play the best football of his career when most of his peers' careers have long since passed midnight while their bodies are turning into something resembling a pumpkin. Only Naldo's former Bremen team-mate Claudio Pizarro — is there something in the water at the Weser Stadium? — is older among the Bundesliga's outfield players, while Borussia Dortmund's Roman Weidenfeller and Bayern Munich's Tom Starke also have more candles to blow out on their birthday cakes. Pizarro, though, is struggling to make an impact for Cologne and Weidenfeller and Starke warm their gloves only in training; Naldo, by contrast, still gets to the ball on a weekly basis, often ahead of the charming goalscoring princes of the Bundesliga. He has certainly stolen the hearts of the demanding, passionate public of the Ruhr where team-mate Ralf Fährmann recently suggested the Schalke fans' love could lead to a number of little Naldos being born. "I laughed very hard after I heard that," the man himself, who is three years older than his boss, Domenico Tedesco, responded. "But why not? I would definitely be happy about many little Naldos named after me!" What Tite and Tedesco have seen is what most casual Bundesliga observers would not. The ersatz aficionado almost certainly would not include the veteran in a list of the league's top ten defenders, and most definitely not place him ahead of Bayern's high-profile trio of Mats Hummels, Jerome Boateng and Niklas Süle. The casual Bundesliga observer would be wrong though. 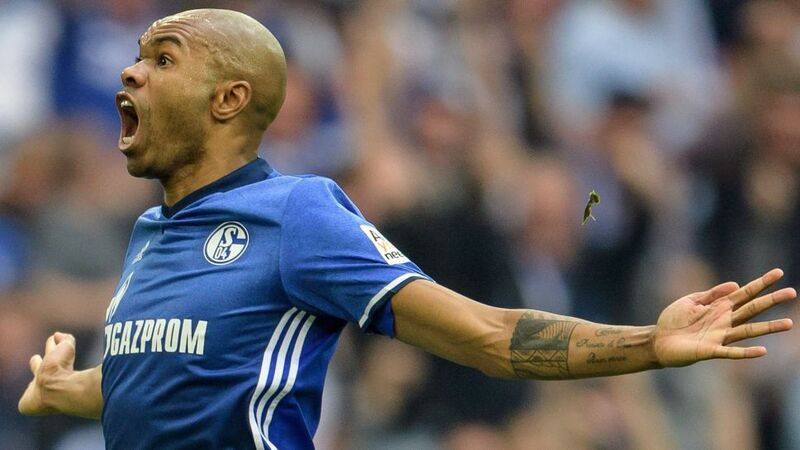 In fact, Naldo can claim to be central to Schalke's excellent season so far in so many ways, and not just because he is at the heart of their defence. He is yet to miss a minute of league play, although if he receives one more booking he will have to sit out due to suspension. It all makes for several productive days at the office, but he has also done so much more than his day job. Always a threat from free-kicks, even from seemingly superhuman distances, Naldo has used his formidable physique to muscle in on opponents in the penalty area to tally seven league goals, more than any other Bundesliga defender. Five of those strikes have been headers, and his sense of timing is not limited to his leap: he hit the net late on to earn potentially precious points against Dortmund and Eintracht Frankfurt. As Tedesco puts it: "He has the feeling to be standing in the right place at the right time." Add to that his two assists and he has had a hand — or head or foot if you prefer — in more Bundesliga goals this season than Mario Gomez or Arjen Robben. See why Tite is impressed now? "I'm ready if Brazil call; I'm hopeful as one of four places in central defence is still up for grabs," said Naldo, whose eye-opening tally of 339 Bundesliga games (and counting) saw him overtake Ze Roberto on Matchday 20 to become the Brazilian who has featured most in the German top flight. "I play for Schalke, a very big club, and we are successful – our games are regularly seen in Brazil so my dream of returning to the national team continues."